Cookies are small files which are stored on a user's computer designed to hold a modest amount of data specific to a particular client and website, allowing the server to deliver a page tailored to a particular user. "Dynamic pricing" in the airline industry ensures that obsessively refreshing your browser window will never show you a less expensive flight. In fact, it can actually make the price go up because cost increases as demand increases and airlines and travel websites will use your search history against you. The app aggregates the results of fare searches and uses the crowdsourced information to pinpoint the best deals being booked right now. Also, selecting the “watch flight” option will send you notifications whenever the app thinks it’s a good time to book. If prices are already rising, it’ll urge you to book, or if a sudden drop creates a great deal, you can take advantage immediately. 4. Check for “throwaway tickets"
Let’s say you’re traveling from LA to Chicago — that's a popular direct flight that is going to be expensive, even at the best time to buy. But LA to Milwaukee will be less expensive since fewer people will be traveling there. A throwaway ticket would be if you found a flight from LA to Milwaukee with a layover in Chicago. Then, instead of getting on the plane to go to Milwaukee, you would throw away that leg of the ticket and exit the Chicago airport. Avoid booking on “budget” airlines because although the ticket cost may be cheaper, there will be additional charges before boarding like checked bag, carry on, and seat assignment fees. Then, more costs on the plane for snacks and drinks. At one time Ryan Air (Europe’s budget airline) was even considering charging passengers to use the restroom during flights! Don’t be opposed to booking separate airlines for arriving/departing flights. 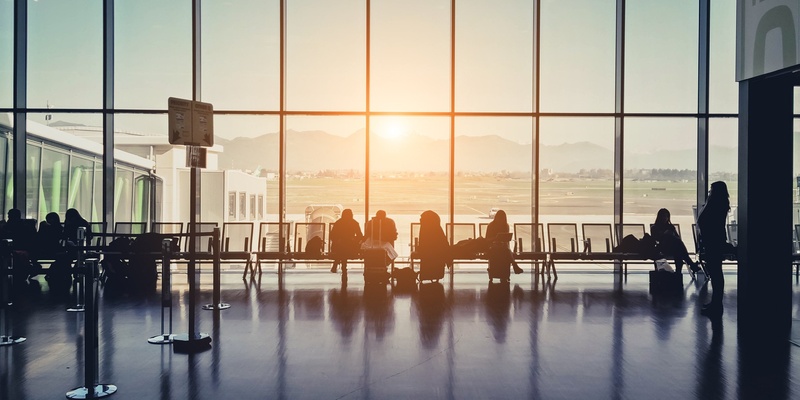 Sometimes flying two different airlines and booking two one-way tickets is cheaper than booking a round-trip, plus it may get you better arrival and departure times as you mix and match flights. Some flight-booking sites already do this for you, but you should do your homework and check the airline websites yourself for even better deals. If your flight is overbooked and you have time (or a solid day) to spare before your event, volunteer your seat to make some extra money. Request a cash refund or ensure that the flight vouchers they're offering don't have tons of stipulations and blackout dates that would make them impossible to redeem. Also, make sure that even if you're the first to volunteer, you'll get the same amount of money as the last one to, as compensation often increases as the airline gets more desperate for people to give up seats. That said, double-check that you will not be on standby on your next flight or in any position to get stranded where you are (for example, if you're giving up a seat on the last flight out for the day). If something goes wrong on your flight, speak up. For example, if your seat's TV monitor is broken or the plane is delayed due to mechanical issues, email the airline and inform them of the problem - just make sure to be polite, provide all of your flight information (number, seat, frequent flyer info, etc. ), and mention all of the positive past experiences you've had flying with them. For an even faster turnaround, tweet at the airline! By sharing your experience on a public forum, you can be assured that PR will respond quickly and swiftly. If you see a massive line snaking around arrivals, do a quick turnaround and head to the departure zone. You can quickly snag a cab after someone else is dropped off. Of course this depends on how an airport is set up — it might cost more time than you're saving to take a train to another terminal.